Searching for a mate: Many male dogs roam when they look for a potential mate. Being bored: If a dog is not given freedom to run within the compound, it could easily get bored and run away from home. Passion in running: Some dogs love running. They should be given some time to enjoy themselves. What Makes a Dog not to come inside When Called? 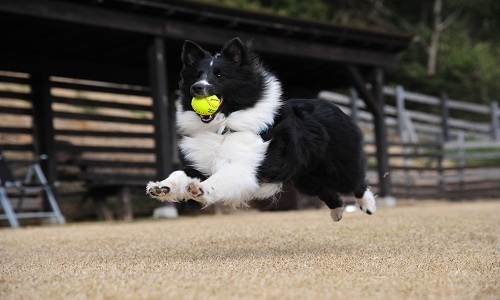 A dog’s escaping behavior can be due to one or several causes. It could be due to boredom, mistreatment or lack of adequate training. The following measures help in making dogs comfortable. Providing comfortable bedding to dogs: Kennels should be free from drafts. Dogs should be provided with clean water and a balanced diet. Bonding with dogs: This can be achieved by playing games with a dog or having long walks together. 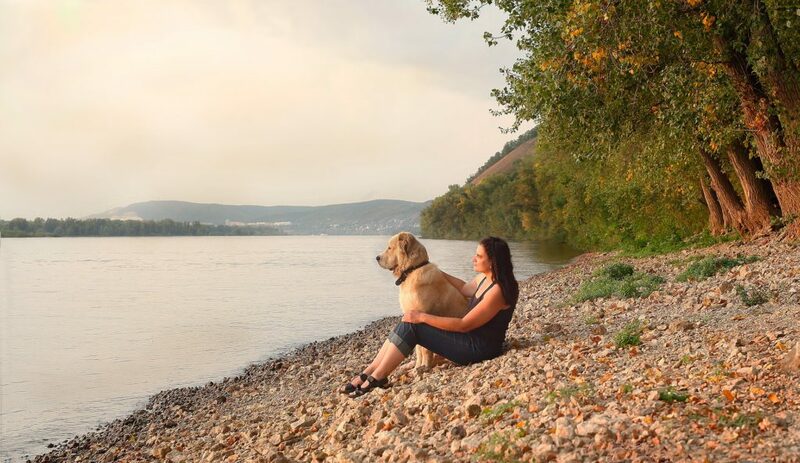 It enhances a dog’s wellbeing as well as building trust between it and its owner. Throughwalks, dogs are able to interact with other dogs. Having regular training sessions: It boosts a dog’s physical stimulation and strengthens the bond it shares with its owner. Securing the compound: Loop holes in fences should be completely helps in preventing a dog from being tempted to escape. After identifying what is causing a dog to run away from home, one can eliminate any visible distractors, desensitize the dog to what makes it escape and to control the area adjacent to the yard. Seresto flea and tick collar helps you in controlling flea and tick infestation. It is specially created to repel these parasites on contact. There are two active ingredients; flumethrin and imidacloprid. Flumethrin kills nymphs, larvae and ticks where as imidacloprid minimizes flea infestation. Both ingredients work together to offer an insect-proof protection. Most veterinarians recommend it for dogs that older than seven weeks. 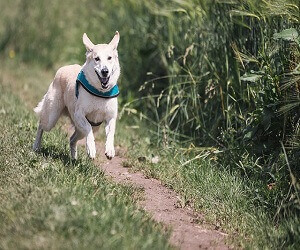 It is a user-friendly collar that is adjustable, non-greasy and quick to release. There are visibility reflectors that enhance security when using it. It has a water proof formula that ensures it remains efficient for up to eight months even after the dog baths or swims. There are several things which could make a dog roam near the house and not to come inside when being called. ​​It is a new dog: The dog might not have been in a house before. It could have been used to staying outdoors hence being fond of staying within a home’s vicinity. One needs to develop trust in it. The dog is an independent breed such as hounds: It could have been bred to stay away from its owners and to make independent decisions. This makes it spend most of its time outdoors. He is thrilled by the environment: There could be birds which he likes chasing around. The dog likes taking guard duty: It will spend a lot of time scrutinizing and barking at strangers. Locking him inside could frustrate him. A dog could be having poor memory: It might not have been properly trained when it is called. It might have also been punished in the past after being called hence making it scared. Training dogs is essential as it improves their behavior and safety. Dogs which respond when called should be rewarded and given more freedom. One should consider the following for the training to be successful. One should research on the traits of a particular dog breed, its strengths and weaknesses. The following tips should be followed when creating a good trainer mindset. Being in a good mood: Dogs can easily detect the mood in which a person is.One should strive to display positive emotions as they directly affect dogs. Ensuring that a dog has mastered one step before proceeding to the next one: A step should be repeated severally so that a dog becomes consistent in it. Having short and regular sessions:Dogs have short attention periods. Long intensive training sessions cause frustration. Accepting a dog’s failures: There are instances where a dog could make mistakes especially when it is taught new things, if it notices that a trainer is disappointed after it has made mistakes, it could lose confidence. Don’t punish a dog after it obeys a command: If a person commands a dog to undertake a certain task and he calls it suddenly, the dog should not be called if it comes. This will make it understand that it does not get called to be punished. The location chosen for training should be one which the dog is familiar with. Distractions such as children,noises,food and animals should not be present. This enables a dog to focus on the trainer and to various commands being given. During initial training sessions, the dog should always be leashed. This keeps it focused on the trainer. A 6-7 foot leash keeps the trainer present in the dog’s field of vision. One should stand at a short distance away so that the dog doesn’t reach her within two steps. The distance from a small dog should be two feet while that from a large dog should be six feet. Call the dog and take backward steps By this time, the dog will be fond of you and it will chase you when you move away from him. Issue the command once before you start moving.it enables a dog to associate a call with the act of approaching you. If the dog doesn’t respondimmediately, tug the leash slightly as an encouragement for him to approach you. This can be achieved by backpedaling constantly. You can click as the dog approaches in order to reinforce his direction and behavior until he reaches you. Once this is achieved, more distance and distractions can be added without overwhelming the dog. Catching a stray dog can be a tricky ordeal. One should be cautious especially if he isn’t familiar with the dog. The first thing one should do is observing the body language displayed by the dog.it should be done from a distance. If the dog is erratic, he could be infected with rabies and if he growls, he could be aggressive. This helps in deciding whether the dog can be caught or not. In this content we have tried to give the solution on How to Keep Your Dog From Running Away ? When training dogs, patience and tolerance are essential. A dog which masters the various skills that it is being taught needs to be rewarded so as to get encouraged.